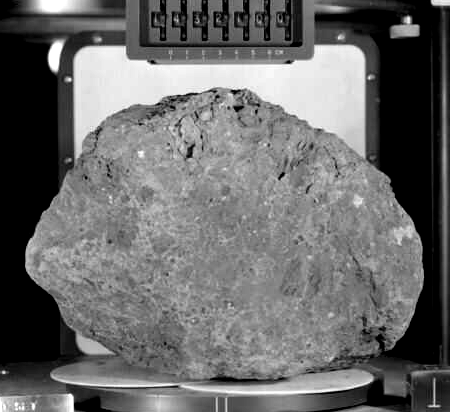 Researchers have discovered a Moon rock that appears to have been thrown there from Earth. New analysis of lunar rock samples retrieved by astronauts almost 50 years ago has found one of the samples may be originally from Earth, thrown into space when an asteroid struck our planet billions of years ago. The sample collected during the 1971 Apollo 14 lunar mission was found to contain traces of minerals with a chemical composition common to Earth and very unusual for the moon. The discovery was made by Curtin University scientists on a rock on loan from NASA.